I subscribe The Great Lakes IT Report, a daily email from Matt Roush at WWJ-AM, a Detroit radio station with an all-news format. As its title suggests, the report provides news and information on what is happening in Michigan and the surrounding region in the area of information technology. An article today (Jan. 5), mentioned a grant being given to a Michigan company to map broadband coverage in the state. 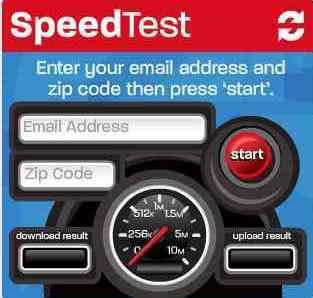 This link led to speedmatters.org a website dedicated to promoting affordable high-speed internet for all Americans. Speedmatters.org is a project of the Communications Workers of America and a large number of partners across the country. According to its home page, Speedmatters founders believe that granting everyone high-speed access to the internet is not only critical to our nation’s growth but is a right of all Americans. Now whether you believe that high speed internet access is a right (life, liberty and the pursuit of happiness high speed internet access) is a topic for another blog, however, the site makes a good case for creating a high speed federal policy. Currently, the U.S. ranks 15th among industrialized countries in adopting high speed access and 28th in overall internet speed. This is a growing problem since it means most U.S. households can’t download large files for such things as medical monitoring, run home-based businesses or benefit from multi-media distance learning. These are things that will become increasingly important as we move further into this century and become more reliant on technology to improve our standard of living–and I’m not just talking about a desire to download the latest episode of American Idol. The site also has a nifty speed test that allows anyone with an internet connection to check his/her download and upload speed. In Michigan, the average download speed beats the national average of 5.1 megabytes per second. We as a country should be closer to 10 MB/sec. By way of comparison, South Korea is over 20 MB/sec. Find our speed. And mine? I don’t come anywhere close to average. Maybe that explains why I can’t download American Idol.